Maximum Security, Maximum Speed! 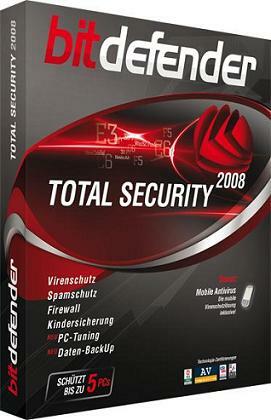 BitDefender Total Security 2010 provides comprehensive proactive protection against all Internet security threats, along with system maintenance and backup, without slowing down your PCs. Combines Superior Proactive Protection from e-Threats with Backup and PC Tune-up for the Ultimate in Security... that won’t slow you down! BitDefender , a global provider of award-winning antivirus software and data security solutions, has launched BitDefender2010 – its new line of security solutions providing state-of-the-art proactive protection from today’s most damaging viruses, spyware, hackers, spam, phishing attacks, and other common Internet security threats.